There are few things more important and expensive than a college education. To effectively save for your children’s higher education, PKR Investments offers our Education Funding Analysis. This specialized analysis can estimate the future cost of over 500 different Universities within the United States (including tution, room/board, and any additional expenses. After evaluating how close your current savings are to covering the estimated cost, our Education Funding Analysis projects into the future to determine if your current resources and planned savings are sufficient. 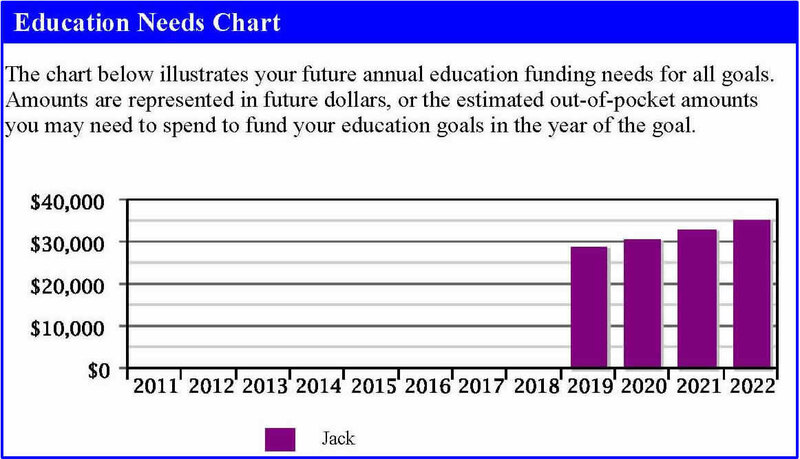 In the example below, the analysis estimates that 39.15% of the future education costs will be covered by current resources, leaving a shortfall of 60.85% or $40,369. Finally, we give you a list of recommended savings tools and accounts that will help you efficiently save. These recommended actions will increase your percentage of costs that can be covered in a very tax-efficient way. An Education Funding Analysis is a great way to estimate future higher education costs, assess how close you are and what actions can be taken to more successfully cover those costs.